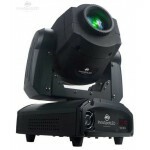 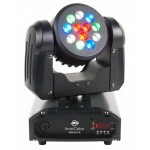 The ADJ Inno Color Beam Z7 is a professional high output LED Moving Head Beam fixture with motorized zoom allowing for a variable beam angle from 10-60-degrees. 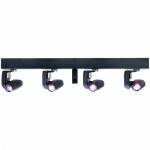 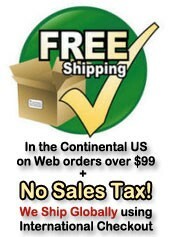 The fixture is powered by 7x 10W RGBW Quad Color (4-IN-1) Osram LEDs. 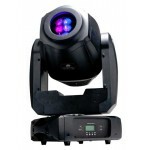 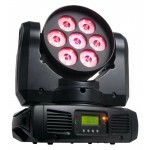 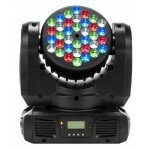 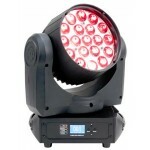 With it’s quick speed and built-in light shows, the Inno Color Beam Q7 brings pure lighting excitement to any venue. The Inno Color Beam Z7 is extremely versatile and has everything clubs, theaters, churches, concert productions and lighting professionals are looking for in a LED Beam effect. 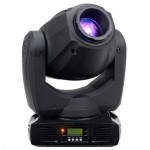 The Z7 features 14 DMX channels, 5 Dimmer Curve modes, Pan/Tilt Inversion, 16-Bit Fine Pan/Tilt, IEC In/Out power connectors, and a 4-Button DMX LCD menu. 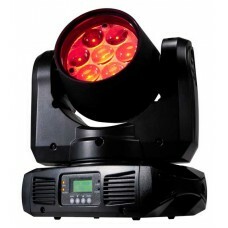 • Weight: 17 lbs./7.5 kg.